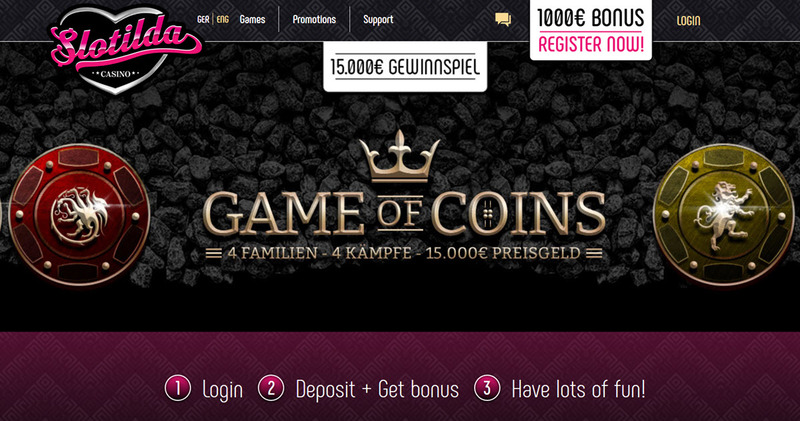 When Slotilda casino opened in 2015, it wash chiefly focused on German-language players. Nowadays, it is available in English as well, and a lot of players from many different countries have taken a liking to this reliable casino. Wagers are done in Euro. A majority of the games in Slotilda Casino are slots, table games and video poker machines. This casino has games from giants such as NetEnt and Microgaming, but also from more unknown gems such as Gamomat, Kalamba and Realistic Games. The live casino is run by Evolution Gaming. Slotilda is owned by OCG International Limited, a Malta-based company founded in 2015. The casino is operated with a gambling license from the Malta Gaming Authority (MGA). Slotilda is strongly associated with the game developer Oryx Gaming, but also have games from about a dozen other game producers. 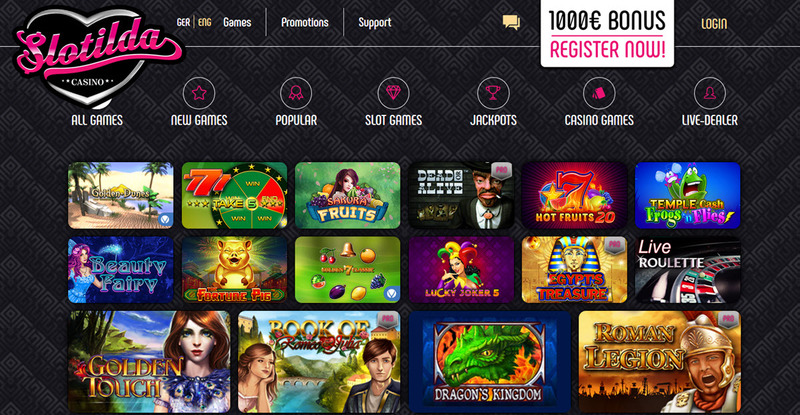 There are over 500 slot games available at Slotilda, from many different game developers. Many of them come from Oryx, such as the colourful Lucha Extreme slot with its fun-filled Mexican wrestling theme. The giant Swedish game developer NetEnt is contributing slots such as the Asgardian Stones, while the much smaller Swedish game studio Yggdrasil is behind titles like Holmes & The Stolen Stones. Slotilda offers both live and non-live (digital) table games, but the number of games is pretty limited compared to many other online casinos and chiefly consists of a small number of tables for blackjack, roulette, baccarat, and casino poker. All live games are run by Evolution Gaming. If you want to play roulette at Slotilda, there are five live tables and three non-live ones to chose from. For blackjack players, there are two live ones (Blackjack Live, Live Blackjack Party) and two non-live ones (European Classic Multi Hand Blackjack, Vegas Strip Single Deck Blackjack), with the non-live ones coming from the game developer Oryx. The video poker section is small, but contains most of the classics, such as Jacks or Better and Deuces Wild. Regrettably, All American is not available. You can access the casino through the web browser on your mobile device. If you are into high stakes gambling, there is an American Roulette table available here where the upper bet limit is €5,000 and a blackjack table called Blackjack Party where the bet limit is €1,000. At Baccarat Control Squeeze, the upper bet limit is €500. If you want to do an instant deposit into your Slotilda account, you can use VISA, MasterCard, Skrill, PaySafeCard, or SOFORT. Bank wire transfer is possible, but not instant – expect it to take up to five days. Slotilda does not charge any deposit fee. The minimum deposit for the instant methods are €20. For bank wire transfer it is €50. The maximum deposit is €2,000 except for PaySafeCard where it is just €1,000. Withdrawals can be made through VISA, MasterCard, Skrill, PayPal, and bank wire transfer. Minimum withdrawal is €20, except for bank wire transfer where it is €50. The processing time for withdrawal requests are usually up to three days. Maximum withdrawal is €2,000 per day. If you want to make larger deposits, contact the customer support, because the limit can be raised for VIP players. Slotilda offers telephone support, email support and live chat support.